Downloading music is an optional feature of Media Drug. 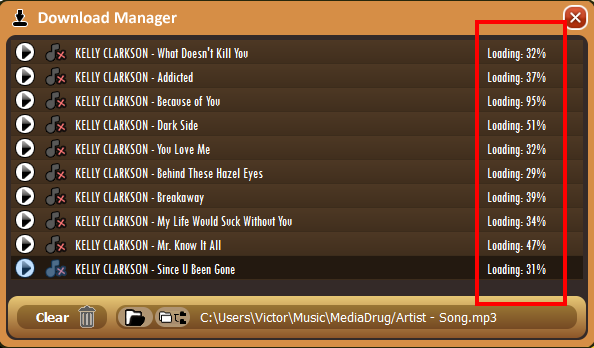 You can play the songs directly from the internet without downloading them thereby saving space on your hard disk. 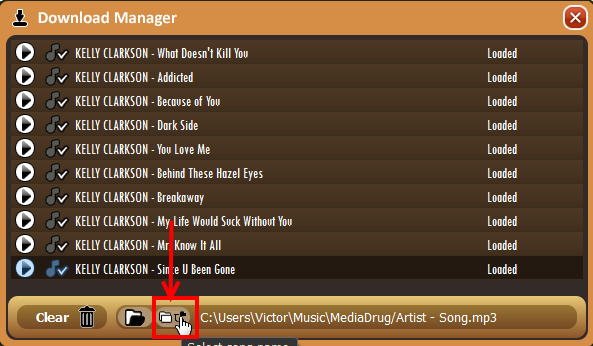 But if you prefer to download your music to your computer, Media Drug offers functionality to do this. You can download tracks from the search results or from the playlist. Expand the album in the left pane and click on the green arrow for the track title to download the song to your computer. If a check mark is displayed with the track instead of the green arrow, it indicates that the track is already downloaded. Select the track to download from the playlist and click on the arrow button at the bottom of the screen to download the track. The system will display confirmation that the download was started. You can download complete albums from the search results or while adding it to the playlist. 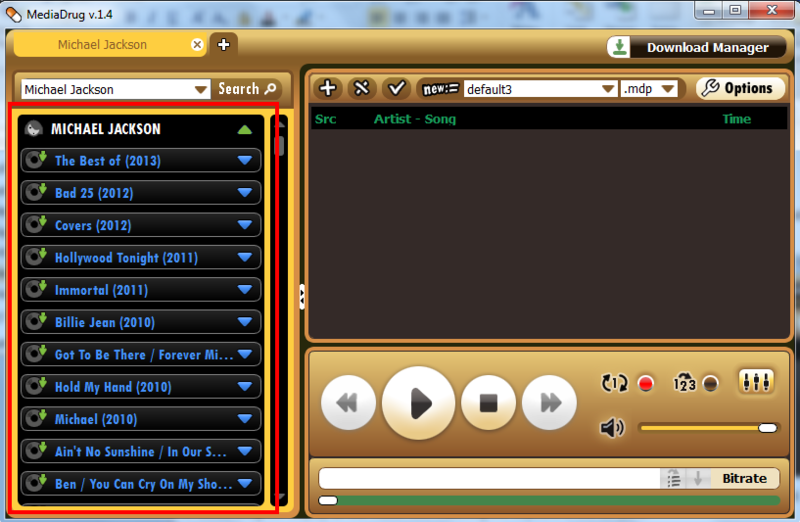 Select the album title in the left pane and click on the green arrow for the track title to download the album to your computer. If a check mark is displayed with the album instead of the green arrow, it indicates that the album is already downloaded. Drag and drop the entire album from the search results pane to the playlist. In the "Download Options" window, select the "Download songs" checkbox. The download manager displays the status of all your downloads. Click on the "Download Manager" button in the top right corner of the screen. The download manager screen will be displayed in a new window with all your downloads and their status. 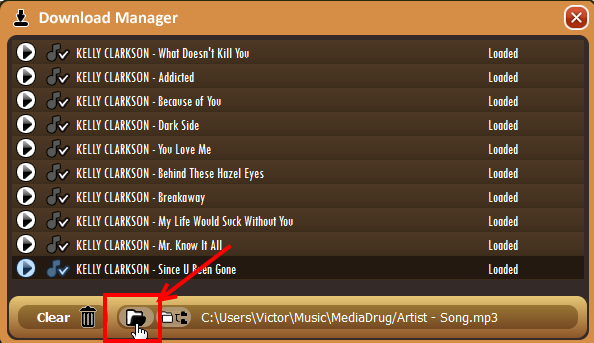 Click on the Folder icon to view and change the folder where the music files will be downloaded. Click on the folder tree icon to view the selected file in the folder it is being downloaded to.